DIY Modern Shed Plans is a 25 page full color .PDF booklet which contains the complete plans for the modern shed which I built and is pictured on diyatlantamodern.wordpress.com. The booklet includes detailed step by step instructions with helpful tips, technical illustrations, a full materials list, and photographs. Upon purchase, the plans can be downloaded directly from Etsy as an approximately 1.36 MB download. The plans can be easily viewed on phone, tablet or computer. With these plans, you will be ready to start your own DIY Modern Shed project with the added benefit of learning from my mistakes. 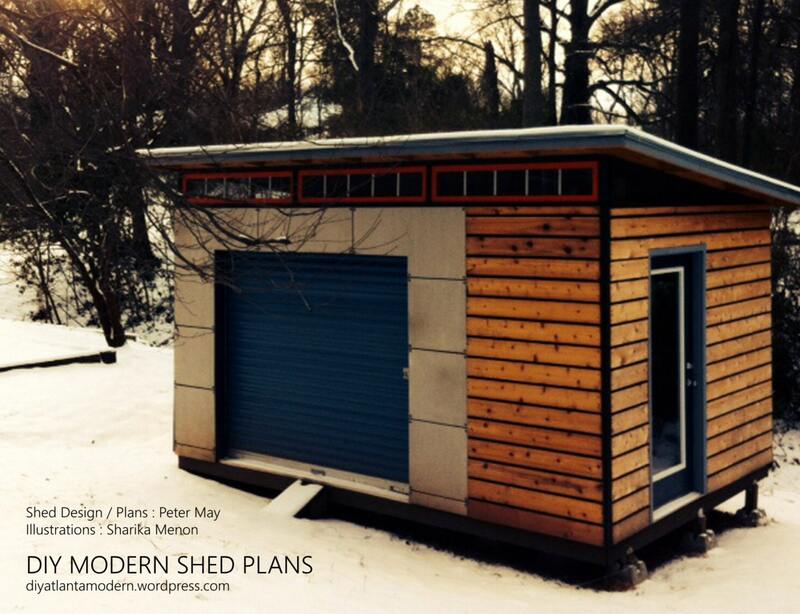 Best of all, I am personally offering my assistance if anyone has specific questions about the design, materials or techniques used on DIY Modern Shed. Please note that this is a digital .PDF booklet and not a printed guide. A link to download the plans will be provided by Etsy upon purchase. Contact the seller with any questions. Great plans - we’re looking forward to building the shed. Plans are detailed and seem to clearly explain each step of the build process. Looking forward to starting this project with my husband. Thanks!